Cathy Mere shares four quick tips to help literacy coaches use video thoughtfully in professional development and hone their own instructional skills. 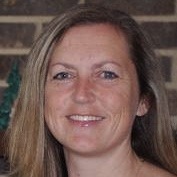 Cathy Mere has taught grades K-6, and worked as a literacy coach and a Reading Recovery teacher in Ohio. Currently she works as a reading specialist supporting literacy learners. Cathy is the author of More Than Guided Reading. She shares her professional reflections at Reflect and Refine: Building a Learning Community and dabbles in poetry and personal essay at Merely Day by Day. Cathy can be found @cathymere on Twitter. Brian Sepe finds video is a wonderful tool for fostering both teacher and coach reflection. Jennifer Allen always launches study group meetings with short video clips. Here she shares some of her favorite free videos on the web. Cathy Mere explains why using video in professional development that is captured in your own school or district’s classrooms can be far more powerful than any video purchased or provided in a kit. She provides tips for inviting teachers to record and share their practices.